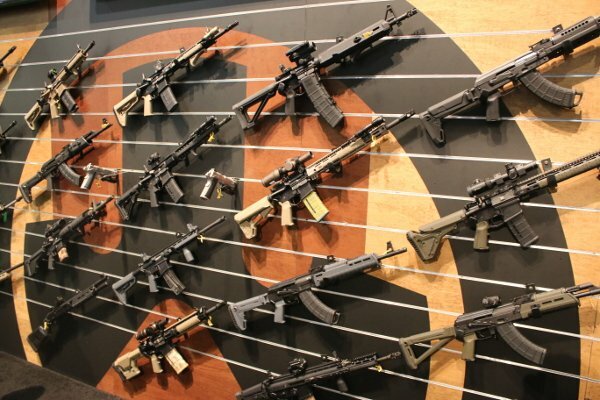 For an entire week, gun dealers, manufacturers and law enforcement officials gathered in Las Vegas Jan 19-22 for the largest firearm convention in the world. With more than 64,000 people in attendance covering 13 acres of convention floor, there was a heck of a lot of guns at the Sands Expo and Convention Center. An appearance by Donald Trump and other celebrities made the show exceptionally memorable. Teasing out the biggest and baddest weapons was not easy. Military-style assault rifles are more available now than ever before. The show also contained more than a few toys that are rarely used even by the US military or law enforcement personnel from personal grenade launchers to sub-machine guns. Here are the biggest and baddest guns we saw this year at SHOT Show 2016.